Holiday season is already upon us and almost everyone is feeling the Christmas rush. Finding a perfect gift can be a major dilemma, especially if you haven’t started shopping. It can be confusing and time-consuming on your part if you have a very little time and plenty of gifts in mind. Well, good news, i’ll help you with your “shopping” experience. 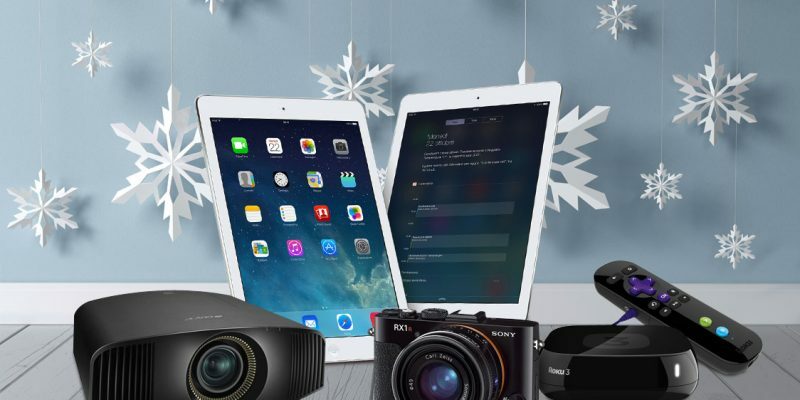 Below are some of gadget ideas to help you with your gift-buying ordeal this holiday. Samsung Gear Fit is not only for fitness enthusiasts out there. This gadget is designed not only while you are working out, but for whatever situation you are in, day or night. It has a curved display which contours comfortably to your wrist and the interchangeable bands provide you with multiple color options. Get this fitness tracker for under $100. This stylish, compact on-ear headphones is a good gift idea for music lovers. The retro look and square ear cups gives this headphones a throwback feel. It has all the makings of a premium headphones with an overall superb sound performance. You can now pump your workout with music when using this gadget. Although a bit pricey at almost $200, you wouldn’t go wrong with this portable headphone. Worried about draining your phone’s battery? Then power banks are a must. Mi Power bank is an inexpensive gadget with battery cell technologies from Samsung and LG. This power bank can add extra 10400mAh battery life to your smartphone, tablet or digital camera. With a beautifully texture aluminum surface, it is corrosion and water resistant, perfect for every day use. The list won’t be complete without a smartphone as your holiday gift. This powerful phablet-sized smartphone had an early release last month and a great alternative for Samsung Galaxy Note 4. It’s also running the latest version of Android – the 5.0 Lollipop. With so many smartphones available at the market, including the iPhone 6, Google Nexus 6 phone is an awesome gift idea for someone who loves Android phones. That’s it! I hope that this Holiday gift guide helped you on what to buy and give to your loved ones. Got any gift suggestions? Feel free to comment below and share it with us!